I got home late yesterday, and the streets were full of cars and well-dressed people getting home. 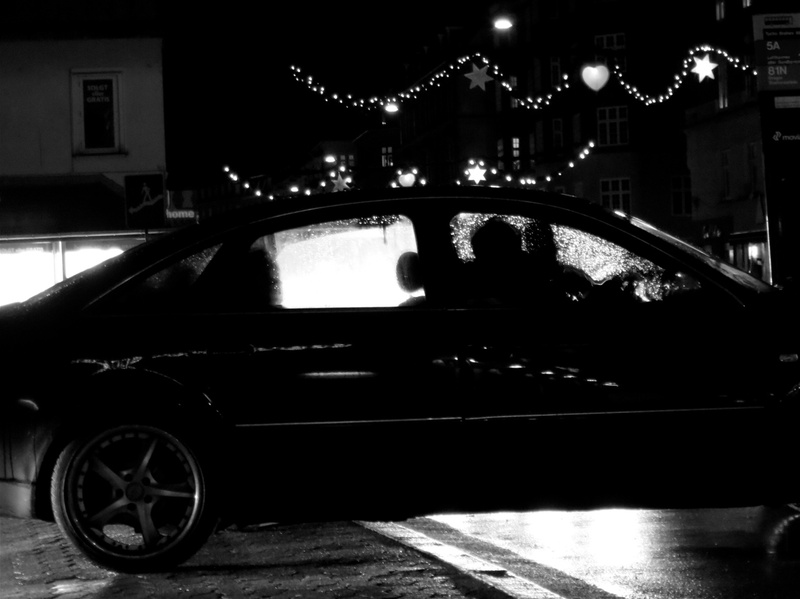 This image was shot at Amagerbrogade. While crossing the street the backlight and the silhouettes appeared in the car.